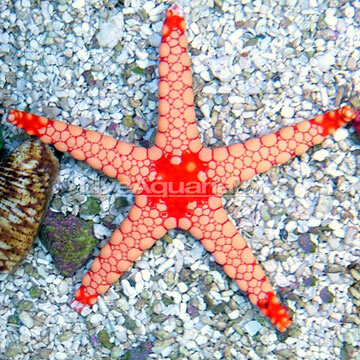 The Tile Sea Star, or Marble Starfish, is one of the more common of the Fromia species, its coloration making it one of the more striking of all the sea stars. Its central disc will have an orange to deep red color, while its arms have cream-colored spots with a red edging. It is found over sandy substrates, on rocks, and sometimes climbing on anemones. It is constantly foraging for micro-organisms and detritus to eat, so the aquarium should have ample amounts of live rock. It generally lives alone, but if the aquarium is large enough to support more than one, it will tolerate others of its own species. 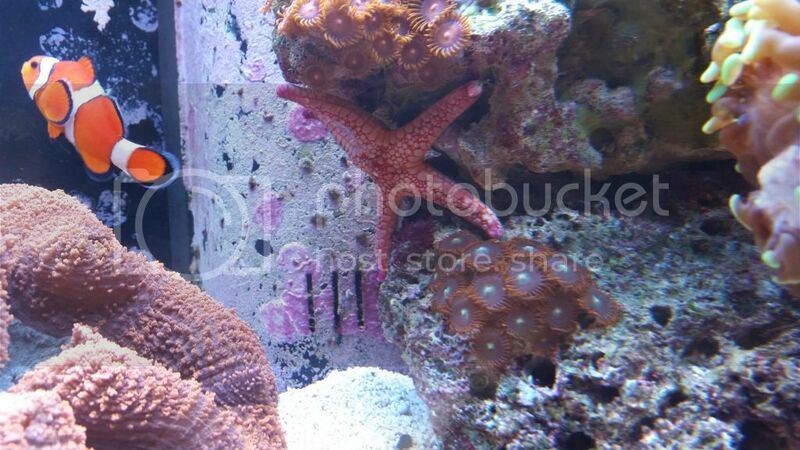 The Tile Sea Star is very intolerant of sudden changes in oxygen levels, salinity and pH of the water, and cannot tolerate copper-based medications. The drip acclimation method is highly recommended for all Sea Stars due to their intolerability to changes in water chemistry. It should never be exposed to air while handling. It is recommended to supplement its diet with small pieces of shrimp, mussel, or flaked food. That is an amazing picture Andy. Do you guys still have these? Any secrets? Yeah, please share any tips you may have. Im looking for some new additions. 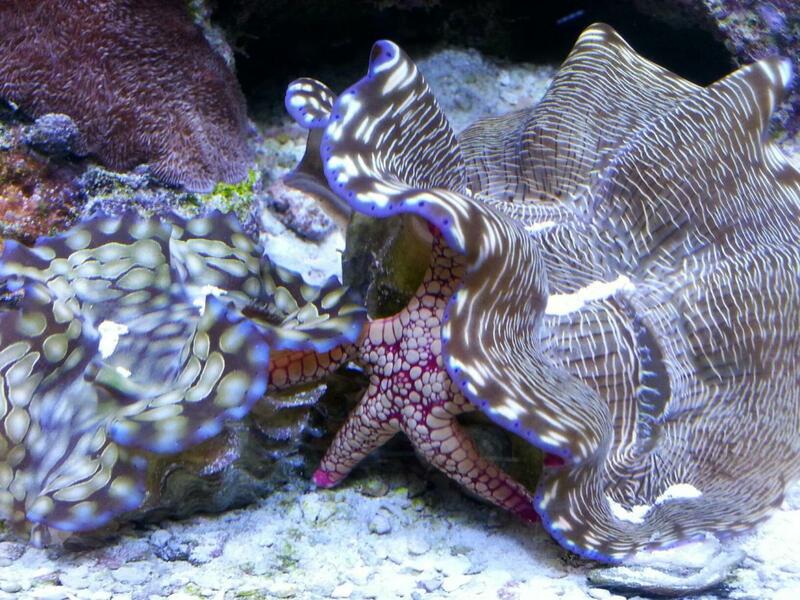 Still one of my favorite starfish. who has one?